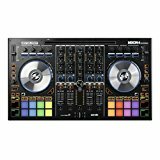 DJ controllers that support IOS and/or Android usually support Mac & PC as well. So you get a more flexible solution. IOS and Android devices have also evolved and have become faster and more reliable. Because of their nature and architecture, they are less probable to crash or die in the middle of a set. Because these devices have touchscreens, they allow extra manipulation additional to the DJ controller. One thing to note here. With the exception of our top picks, the rest of the list is composed of older gear. Does this mean that IOS/Android DJing is on a decline and manufacturers are not caring anymore? Not necessarily, but the big hype we saw a few years ago when the first IOS compatible controllers came out is slowly winding down. So with all this in mind, let’s dive into the DJ controllers themselves! Reloop Beatpad 2: More compact than the Mixon 4, but still very well featured and well build. 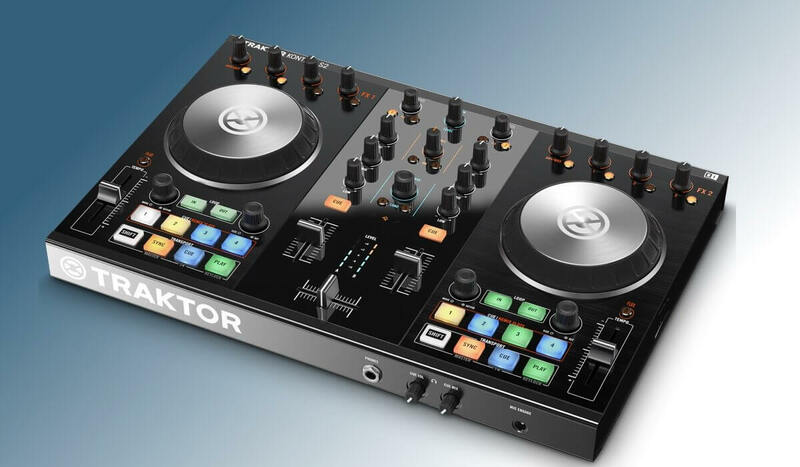 Native Instruments Traktor Kontrol S2: Very nice compact Traktor Pro controller, also supporting Traktor DJ. A complete Serato DJ/djay Pro DJ controller for a competitive price, with support for Android and IOS devices. Reloop has a tradition of IOS controllers, and the Reloop Mixon 4 is their biggest and most feature-rich outing so far. First of all, it’s a 4 channel controller for Serato DJ. It supports all the newest performance features in Serato DJ, such as Serato Flip and Pitch ‘N Time, next to more traditional things like SLIP mode, slicer mode, and many others. The jog wheels are very flat, and large: 155 mm in diameter. The docking station on top of the controller accommodates up to an iPad Pro 12,9” model if you are lucky enough to own one. There is also a neat feature called the Macro FX, which allows combining a filter with any FX on any channel, using the big filter knob. Besides all the above, the Mixon 4 supports Algoriddim’s djay or djay Pro for MAC, IOS or Android. Overall, the Reloop Mixon 4 is a complete DJ controller, and the support for IOS and Android devices ensures a lot of flexibility for DJ’s when it comes to performance options. The build quality is OK, a lot of plastic is used, but for the requested price (approx. USD 800) we cannot expect a full metal finish. The Pioneer DJ DDJ-Wego4 is the newest iteration in the Wego family. 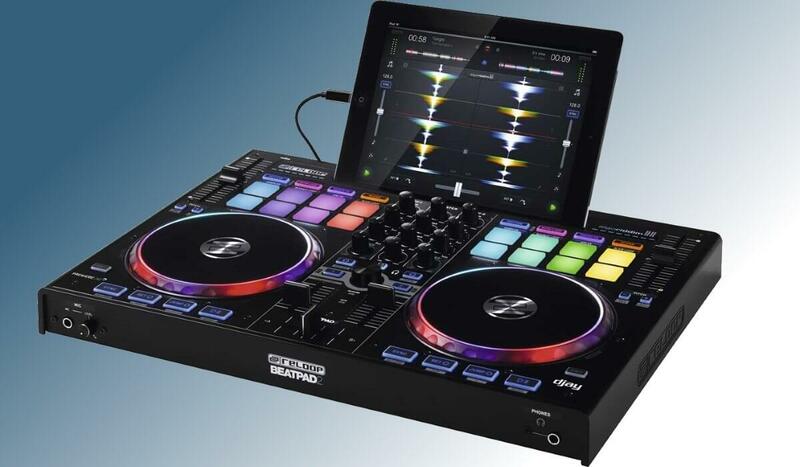 Compact yet well featured, it works with IOS and Android devices, running Algoriddim’s djay software or the new Pioneer DJ WeDJ mobile djing app. But it also works with a computer running Rekordbox DJ or Virtual DJ. The design is a bit particular and needs some getting used to. The main controls are wrapped around the jog wheels, a clear departure from the usual Pioneer DJ design. There are buttons for loops, FX, cues, and samples, allowing for extensive control of the software running on the connected device. The led light show around the jog wheels might be off-putting to some, but it does offer a certain degree of visual feedback when DJing. There are buttons for loops, FX, cues, and samples, allowing for extensive control of the software running on the connected device. The led light show around the jog wheels might be off-putting for some, but it does offer a certain degree of visual feedback when DJing. The mixer is simple. Two channels with a 2 band EQ per channel, but with a filter knob. The pitch fader is the smallest possible size, making it unusable for decent manual beatmatching. But that is probably not the purpose of DJ’s that buy this controller anyway. 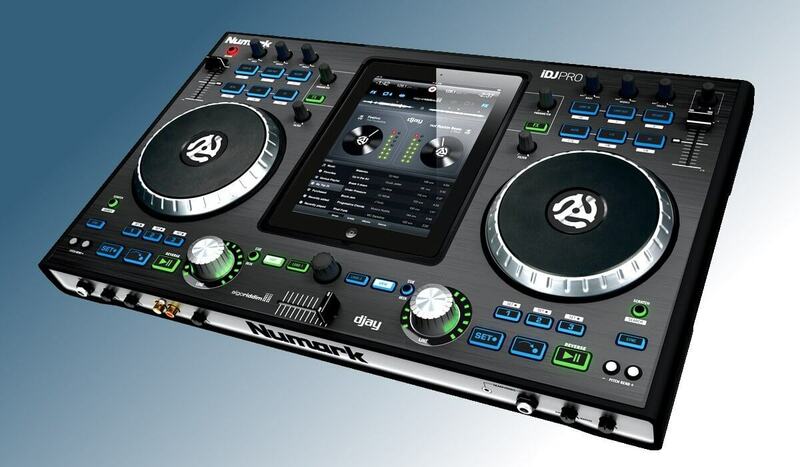 A special approach to IOS djing, the Numark iDJ Pro integrates with an iPad perfectly for seamless IOS djing! 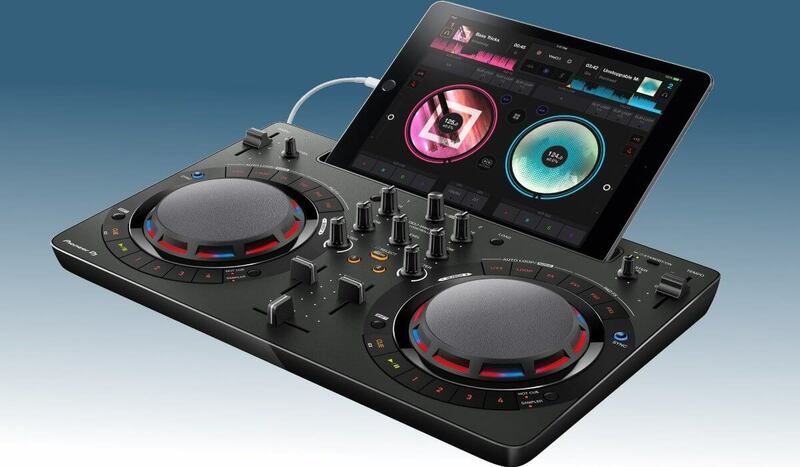 If you own a 9.7″ iPad, the Numark iDJ Pro remains an excellent choice. The iPad fits right into the center space, and turn the controller into a fully featured DJing interface. Despite the fact the controller was launched in 2012, it still holds its ground, and is now compatible with the latest versions of djay, such as djay Pro. It features large jog wheels, rotary encoders instead of line faders (which is actually pretty cool) and dedicated knobs and buttons for EQ, hot cues, and loops. Compact solution that supports many devices and DJ software packages. Another interesting offer from Reloop is the Beatpad 2, that supports Algoriddim’s djay or djay Pro on IOS and Android devices, plus Traktor Pro and Virtual DJ on MAC or PC. That is a lot of choices! It has a sturdy build, excellent flat but large jog wheels in true Reloop style, a decently sized pitch fader and backlit touch-sensitive drum pads that allow for very creative performances. The pads control things like hot cues, samples, loops, and FX. In the middle, the Beatpad 2 features a two-channel mixer, with a particular feature being that the knobs for the low EQ and the filter knob can be turned into a mid-EQ and a low EQ respectively. So at any time, you need to choose between a mid-EQ knob and a filter. Can be found online at around USD 600. A versatile solution for Traktor Pro, with the Traktor DJ support as an added bonus. Inputs: mic 1 x 1/4"
Another oldie, but goodie: the Native Instruments Traktor Kontrol S2. Right of the bat, this controller is for the dedicated Traktor Pro user, as it only works (properly) with this software. Additionally, it works with Traktor’s IOS app, Traktor DJ. The S2 is a very simple but functional DJ controller. It has nice high-quality jog wheels, handy backlit buttons for hot cues and transport controls. The loop section has a rotary encoder for size setting which is very, very useful. In the middle, there is a two-channel mixer with 3 band EQ and a shared filter/gain knob. Can be found online for around USD 400. While the offering of IOS (and Android) compatible DJ controllers has not expanded much, there are still a decent amount of options to choose from. 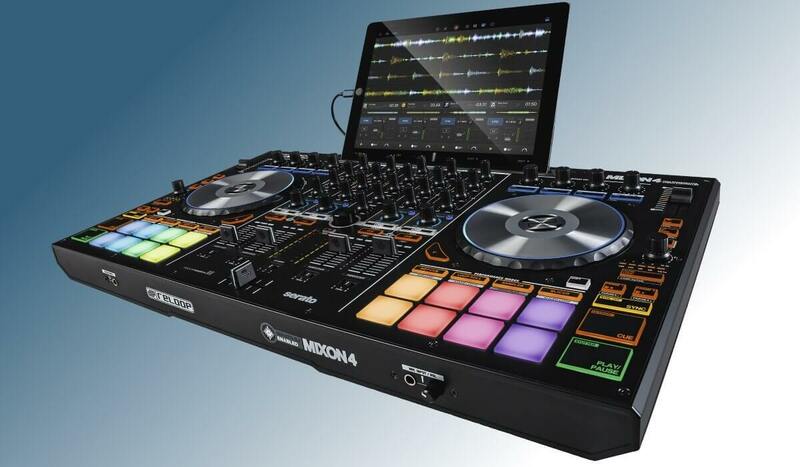 While all the units discussed in this article have their qualities, the Reloop Mixon 4 is really the top contender here, combining a fully featured 4 channel Serato DJ controller with IOS and Android support. Supporting a wide range of software and hardware makes a DJ controller an ideal choice for DJ’s that want flexibility. The Pioneer DJ DDJ-Wego4 might look like a budget, bottom of the line unit, but it packs a lot of features and it included a free license for Rekordbox DJ, worth USD 150! We hope manufacturers will continue to support IOS/Android Djing, and we hope to see controllers taking advantage of increasing power being packed into mobile devices.